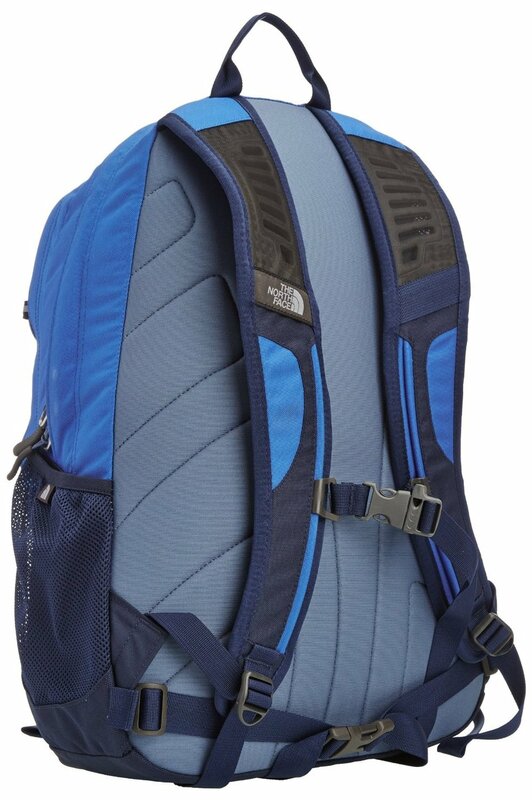 Click the button below to add the The North Face Jester Backpack to your wish list. With 27 liters of storage capacity, The North Face Jester Backpack is great as a school bag, a sleep-over bag, or as a travel backpack. Its spacious main compartment can keep several large books, binders, or your travel garments. The second compartment features several slots to keep your pens, phones, keys and other small accessories neat and organized. It incorporates crisscrossing bungee cords located in front of the pack to quickly stash an umbrella, a raincoat, or a guidebook so it is in easy reach while travelling. The Jester Backpack comfortably rests on your back because of its stitched foam back panel while FlexVent™ injection-molded straps allow for a comfortable carry. Mesh water bottle pockets on each side of the pack keep hydration easily accessible. It also has a removable hip belt for days you’re not on the trail. Lightweight and durable, this is a great everyday pack that can withstand the rigours of everyday life.